news Optus Business entered a new partnership with Macquarie University to establish a new “cybersecurity hub” aimed help business and government organisations protect themselves from increasing cyber threats. 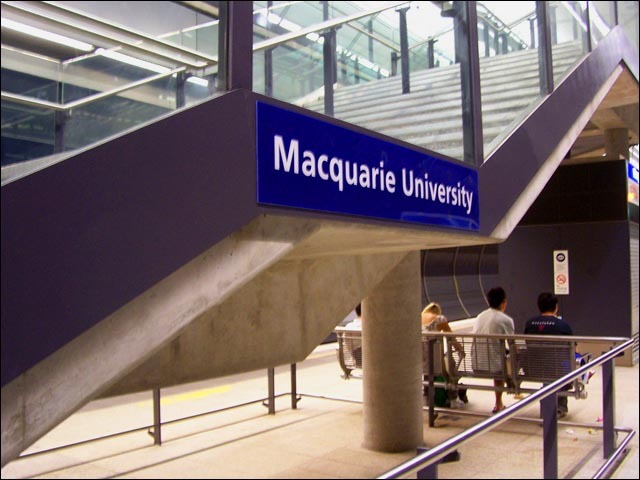 The new multi-disciplinary project, titled the Optus Macquarie University Cyber Security Hub, will provide research, degree programs, short professional courses and consultancy services, Optus said in a statement. The two partners signed the agreement in May, Optus said, and anticipate that the project will attract partners from the public and private sector who want to help advance cyber security technologies and governance. The project is being set up at a cost of $10 million and will draw on the expertise of Optus and Macquarie University academics from various disciplines, as well as industry experts. The hub will cover three academic areas: computing and IT, business and economics and security studies and criminology, and will focus on providing a “holistic approach” to cybercrime, how it is carried out, how it affects the economy and impacts policy. “While cyber attacks are increasing in frequency and sophistication, most organisations lack the right expertise and skills across their business to identify and manage these attacks,” said John Paitaridis, Managing Director, Optus Business. “As organisations adopt more online and digital channels, they also need to have a fully integrated approach to cyber security involving all staff training, management buy-in, effective technology solutions and knowledge of today’s cyber threats,” he said. The new cyber security hub addresses all of these areas, Paitaridis said, providing businesses and government agencies with a “unique and unparalleled” offering to help them “navigate a complex landscape”. According to Optus, the hub will support the Federal Government’s new cyber security strategy and its plans to make Australia a ‘cyber-smart’ nation, as well as offering a number of initiatives to boost Macquarie University’s teaching and research offerings. Optus also said its workforce will be a focus of the project, with the partnership increasing awareness, and equipping staff with “the latest cyber security skills and expertise”. Optus will offer the same opportunity to its enterprise and government customers, it said. “Education underpins the very success of the government’s Cyber Strategy, and is the cornerstone of any cyber security program,” said David Wilkinson, Deputy Vice-Chancellor for Corporate Engagement and Advancement at Macquarie University. Explaining that cyber security has become one of the “defining issues of this decade”, he added that Macquarie is one of the first universities in the country to establish a dedicated policing, intelligence and counter-terrorism degree. A breath of fresh air and obviously doing it without government support. To call this supporting the government initiative is a bit much. They’ve had 3 years to do something. The government has spent the whole time chasing phantoms to preserve themselves. While setting up policies that only encourage more cyber crime after our retained data is stolen from simple escalated malware attacks by some Murdoch rag employee who has access. Everyones insecure modems handed out by ISP’s unmaintained are a problem. Phones with no firewalls of any kind and public facing modems are a problem. The government unleashing FinSpy and Hacking Team malware onto the population are a problem. The government trying to get malware onto phones are a problem. They treat cyber security as some kind of joke when it’s bigger than terrorism. Bots are scanning and hitting servers every single millisecond of the day. FaIl2ban and snort are of some help but these days it’s becoming an issue from the inside. That is how the US government systems keep getting hacked for instance ! I would like to take up one of these courses. This is still for big business though. Small businesses are still vulnerable. If they have no IT their crappy insecure modems given to them by the ISP fully riddled with unmaintained Linux security bugs. Even worse with non isolated POS systems is a problem. Perhaps even the government insecure outsourced systems could be of benefit of a free cloudflare type service and a free exploit testing service for Australian businesses. Exploit testing services you can do yourself with something like OWASP and metasploit community edition but some cost a lot of money. You simply can’t stop these bastards. But one has to question who they are. Pine Gap is intercepting our Satellites , the NSA is using optic reflection to packet sniff the pipe out of Perth. Economic espionage and cyber criminal parasite activity. If you try and throw them out there is trouble obviously.